“Commercial heat treater Specialty Steel Treating in Fraser, Michigan (USA) has invested in new AFC-Holcroft UBQ (Universal Batch Quench) furnace and a UBTN (Universal Batch Temper) annealing furnace as companion equipment, as part of a larger multi-year equipment standardization program intended to replace older equipment provided by another supplier. The UBQ and UBT are near duplicates to equipment recently provided by AFC-Holcroft as part of the same multi-year program. 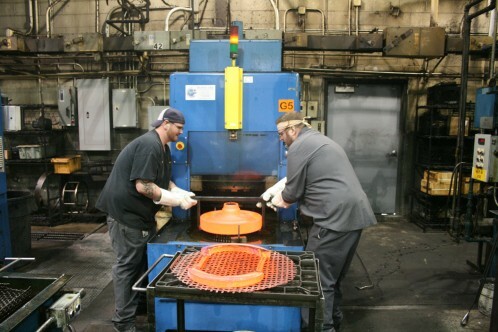 Specialty Steel Treating has had a long relationship with AFC-Holcroft, and uses several different types of AFC-Holcroft furnaces in their production facilities in Michigan and Connecticut, including multi-row pusher furnaces designed for high capacity output, as well as some large capacity UBQ batch equipment and accessories.